The parish of Mostyn was formed on 23 May 1844, from the townships of Bychton, Mertyn Isglan, and part of Trefostyn, all of which had been in the parish of Whitford until that date. 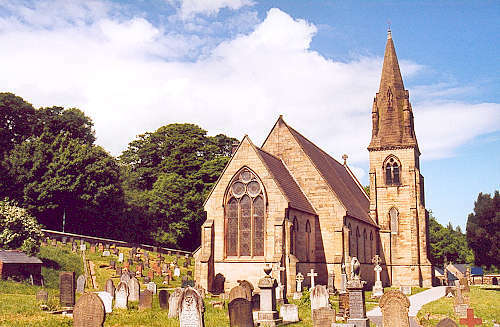 The foundation stone for the new church was laid on 30 May 1842, and the building was completed in September 1844. The first services were held in October 1844, under a License from the Bishop of St. Asaph. The church was consecrated on 12 August 1845. For family history information about the church and parish, visit the GenUKI Mostyn page.